The South Asian Symphony Foundation works toward building peace and mutual understanding in South Asia through the medium of music and the creation of the unifying platform of a South Asian symphony orchestra . The aim of The South Asian Symphony Foundation (SASF) is to promote greater cultural integration for the cause of peace in the region of South Asia, consisting of eight countries: Afghanistan, Bangladesh, Bhutan, India, the Maldives, Nepal, Pakistan and Sri Lanka. The SASF is registered as a Trust in Bangalore, India. Because the right to music is a fundamental human right. Young South Asians must discover the strengths of communicating through music, its nuances and its diversity, and building harmony thus. 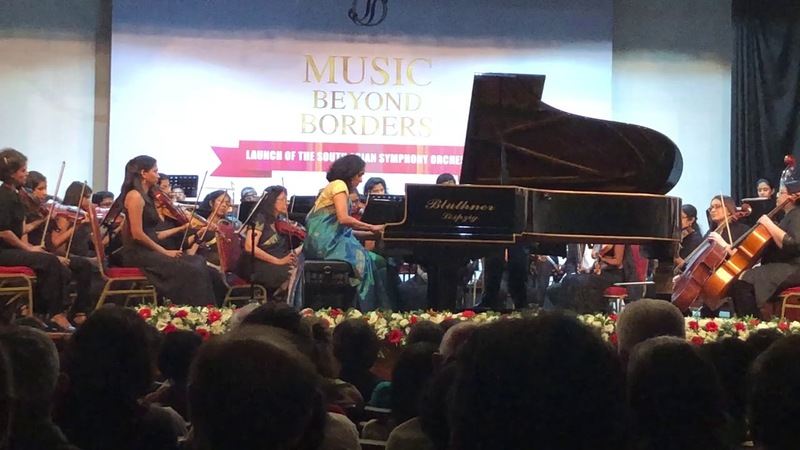 The Symphony Orchestra of Sri Lanka brought together Indian and Sri Lankan musicians and conductors in a unique celebration of music on 7 February, 2018 at the Ladies College Hall. The program for the evening featured three masterpieces of western classical music repertoire; Dvorak’s New World Symphony, Mozart’s Piano Concerto No 27 and Brahms’ Variations on a Theme by Haydn.